It is November once again. 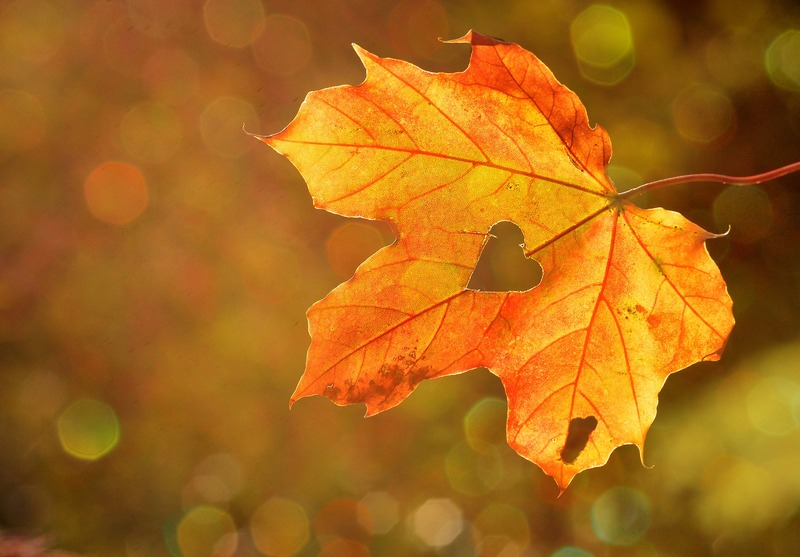 If you are like most people it makes you think of Autumn, leaves changing colors (even though we don’t get to experience that here), Thanksgiving and turkey, and maybe even what you are grateful for. This may especially be the case if you are one of the people that is on Facebook, being bombarded this month with all your friend’s posts on what they are thankful for. The positive psychology movement says that we should embrace an attitude of gratitude. Ever wonder why this is? There are a few principles that I believe explain this that I often talk about with my clients. It has been shown through experiments that when we have a thought, our brain begins to release neurotransmitters and other chemicals from the brain. Think of something stressful and your brain will begin to produce cortisol and other hormones and neurotransmitters related to stress. Think about something that makes you happy and your brain will produce happy chemicals such as oxytocin, dopamine, and serotonin just to name a few. It is easy to see that when you think about good things you will feel much better. This can even be taken a step further when you think about the effect that these chemicals have on you as they circulate through your body, reaching each cell. Theories of epigenetics suggest that we are not at the mercy of our genes when it comes to who we are and what disorders we develop, but instead our environment plays a big role in this. The environment they are referring to doesn’t just include the things that are surrounding you on a regular basis but also the environment that each of your cells is exposed to. Now when you think about what you are grateful for, you activate the brain to release a cocktail of chemicals that make you feel good and that is beneficial for your cells. Don’t forget that your DNA is in each of your cells. Flooding your cells with negative chemicals can turn on genes for disease. Flooding your cells with good, happy chemicals allows your cells to function optimally. Our thoughts influence our feelings which influence our actions. Thinking about what you are grateful for will leave you with a positive feeling. When you feel good, you are more likely to engage in beneficial behaviors. For instance, when you think about how you are grateful for your wonderful friends and family and the reasons why you feel grateful for them you begin to feel loved as you focus on those connections. Due to these happy feelings you are more likely to reach out and contact someone, maybe make an effort to spend time with them, or maybe you just might feel more confident in yourself and feel more comfortable talking to others and making other new friends. If you were thinking negative thoughts about your social support system, however, you would likely feel lonely and self-conscious. You would tend to shut yourself off to others, leading to an increase in distance in your relationships. Or with another example, focus on the goals you have accomplished already and you may feel motivated to work towards the next set of goals. Have you heard of the law of attraction? The law of attraction basically states that what you focus on you will get more of, or that “like attracts like”. It states that we are all made of energy and our thoughts create vibrations that tell the universe what we want in our life. No matter what you focus on, the things you are grateful for or the things you have but don’t want in your life and either way you will get more of it. Some say that by simply entering this state of gratitude you are raising your vibrational level to be in alignment with better things. Whether you believe this or not, I still find it to be helpful because I can always take it back to our thoughts influence our feelings which influence our actions! So hopefully by this point I have convinced you to work on your gratitude at least for this month. But how do you do that? Here are a few options you can choose from. You could choose to make a list daily. Post it on facebook (if you do believe in the law of attraction think about how the collective thought of others when they read your post may amplify the benefits). Take turns at dinner talking about what you are thankful for with your family each night instead of only on Turkey Day. Discuss what you are grateful for with your partner each night. It could be a way to bond before bedtime and could become a wonderful good night ritual. You could even focus it on what you are grateful for about your partner for some added intimacy and bonding! Participate in the 30 day gratitude photo challenge (you can find the guidelines by doing a search online or on pinterest). Challenge yourself to find ways to change negatives into positives. For instance, no one likes to do laundry, but having laundry to do means that you have clothes to wear and you can be grateful for that as you do your laundry. Sitting in traffic? You have a car to drive and places to go! Make a list on a dry erase board. Buy a gratitude journal with prompts or search for free ones online. I hope you each find a way to increase your gratitude this month and the year through and find many more blessings and benefits along the way! ← How Do I Compare?